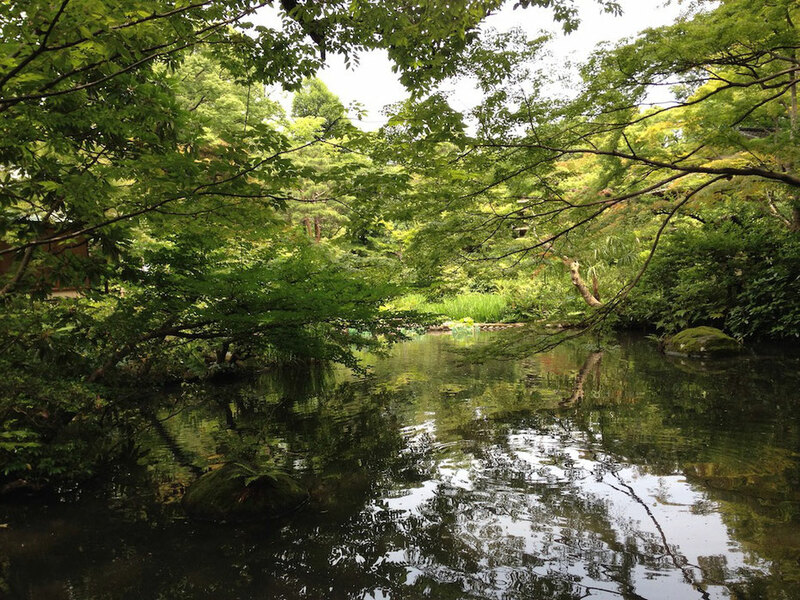 I went to Nezu Museum in Minami Aoyama, Tokyo, Japan. Nezu Museum houses Japanese arts. 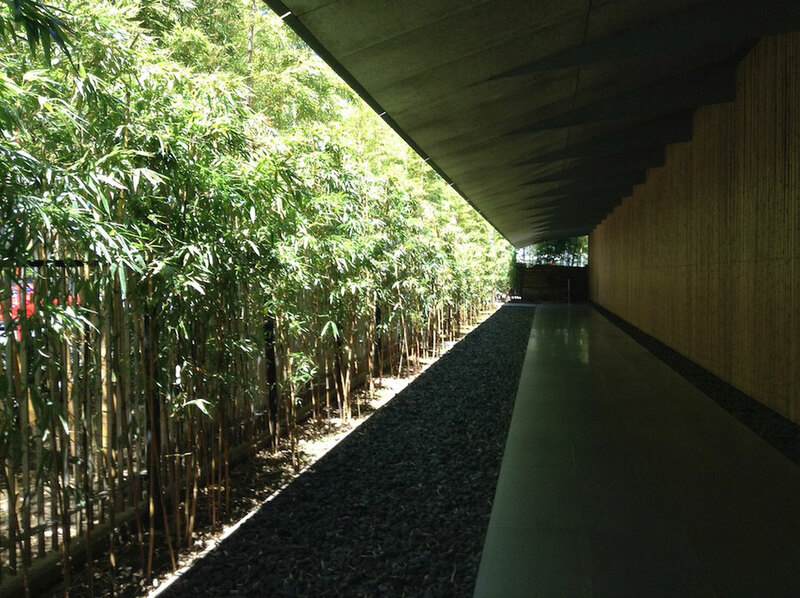 And structures of Nezu Museum designed by Mr.Kengo Kuma, an architect of Japan, are in harmony with nature. 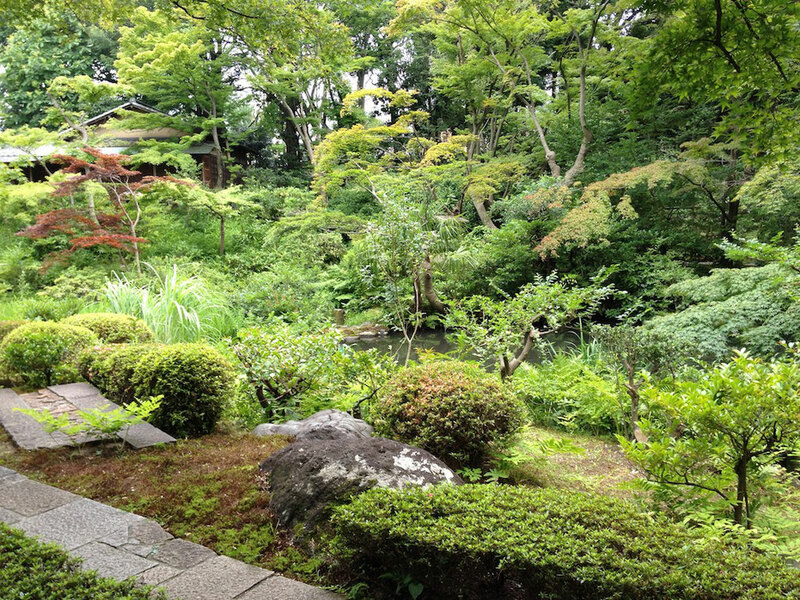 Nezu Museum has a big Japanese garden. There are a lot of plants and they are beautiful. I think I am going to forget here is center of metropolitan area. Nezu Museum displays "Irises Screens", a famous Japanese painting drawn by Korin Ogata, a famous painter of Edo Period, between April and May. 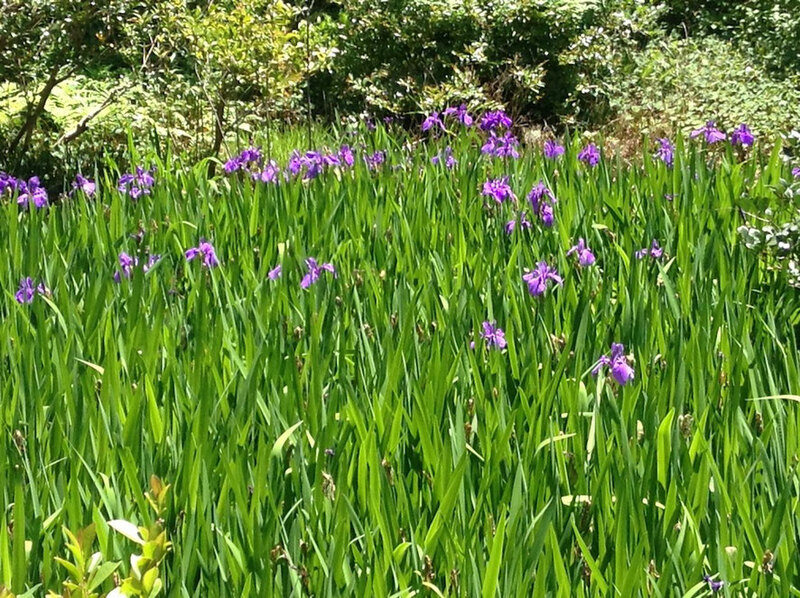 And there are some irises in the garden of Nezu Museum between April and May. It is nice to see both "Irises Screens" and real irises. 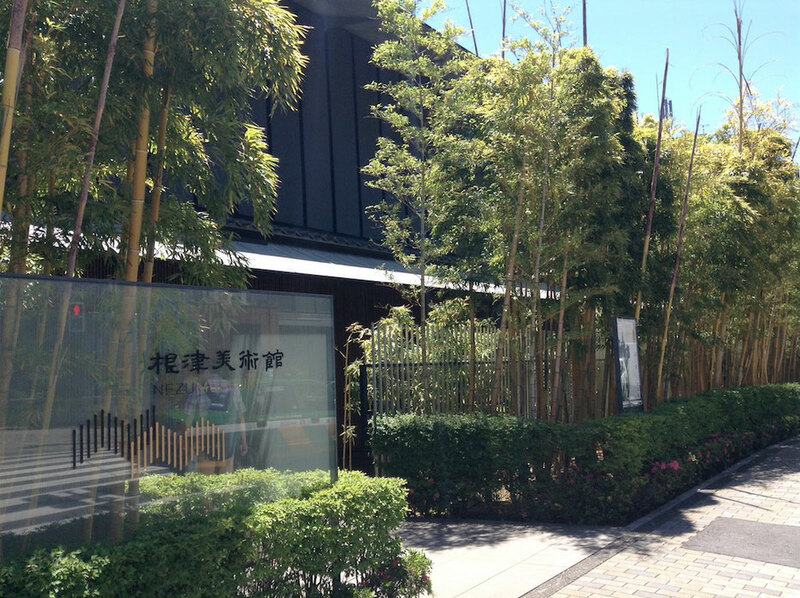 There is a cafe "NEZUCAFÉ" in the garden of Nezu Art Museum. I ate "Colorful Annin(Almond Jelly)" at it. 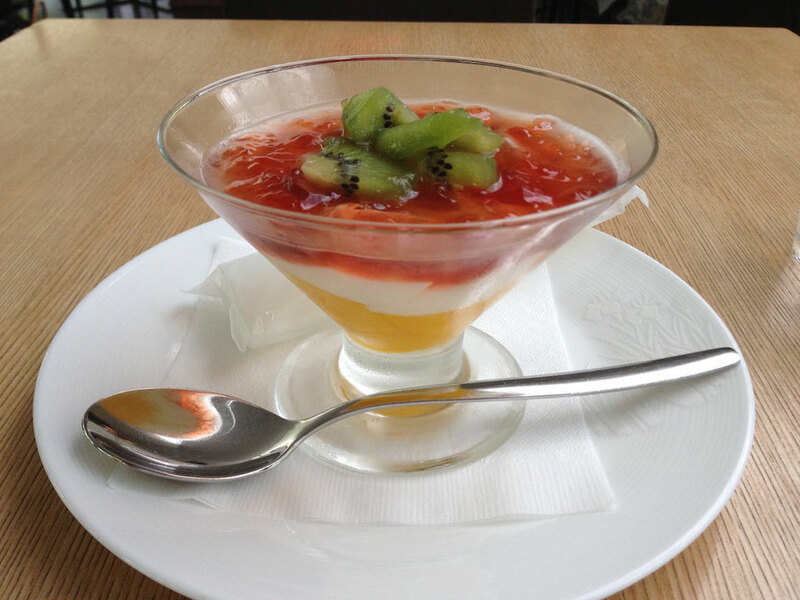 Sweet taste almond jelly and sourish taste of kiwifruit were very delicious.